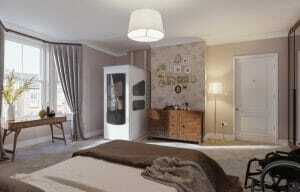 The VE Home Lift is our most popular lift, with a two day install which includes builders work. The VE home lift complies fully with BS5900:2012. With a choice of colours, finishes and style. 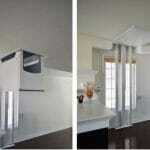 AccessCO make it easier than ever to tailor a lift to suit your home. With no requirement for a wall, construction work is minimal and included in the price. The ease of installation ensures your lift is ready to enjoy within just a few days. The VE is luxury and elegance in a small package. Designed and manufactured in England, the VE provides an elegant, high quality alternative to a traditional platform solution allowing you to stay in your home. 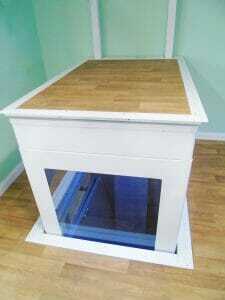 With the VE Home lift comes a lot of safety features. The lift is very low maintenance, you receive a full demonstration complete with user manual and CE certs. 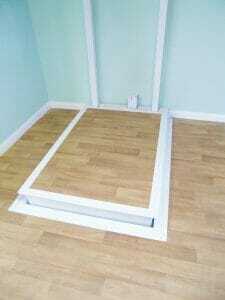 This lift can be installed in 2 days, all prices include builders work. The first action is for us to call to your home, make sure you have the space available, and outline where the lift will be situated. 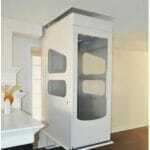 Most commonly the lift would be installed to arrive in a spare room or the clients bedroom. Once the site visit is carried out we will issue a quote and answer any questions you have. Once we receive the order the lead time is 3 weeks. 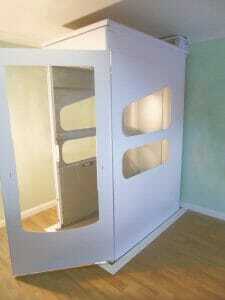 once the lift arrives on site the install is 2 days and this includes builders work. Why is an VE Home Lift better than a stair lift in some cases ?